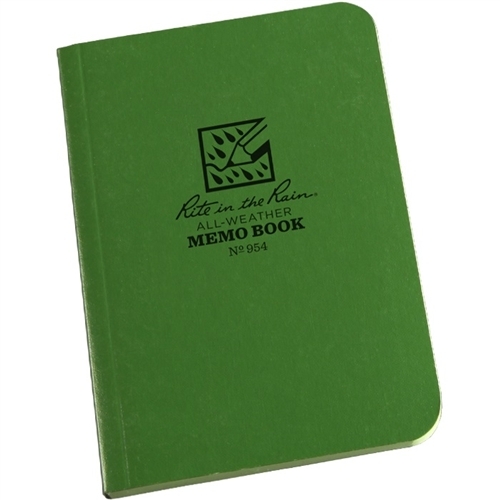 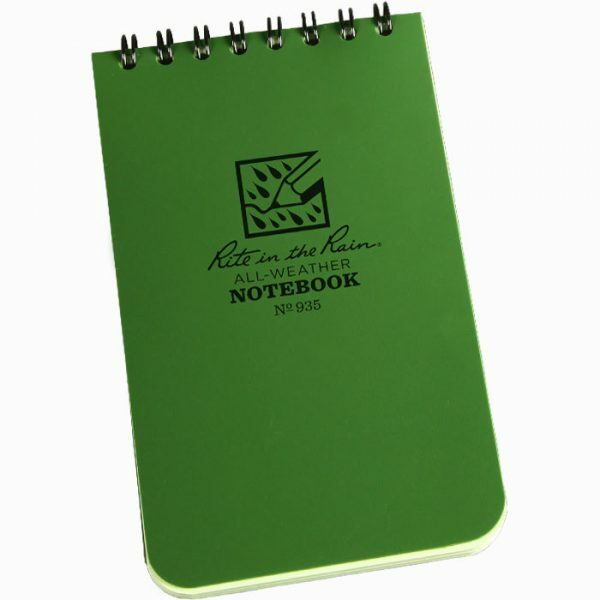 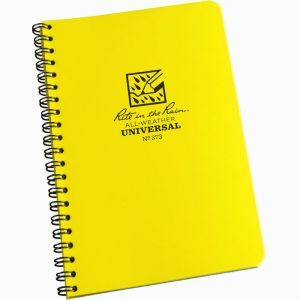 Unlike plain paper, Rite in the Rain notebooks won’t turn to mush when exposed to rain storms, heavy sweat, oil & grease or mud & grime. 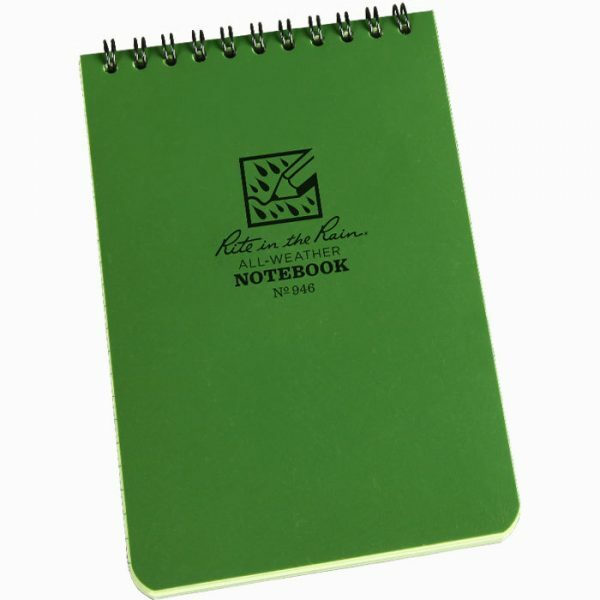 Over many years Rite in the Rain has perfected and pantented their environmentally responsible coating process. 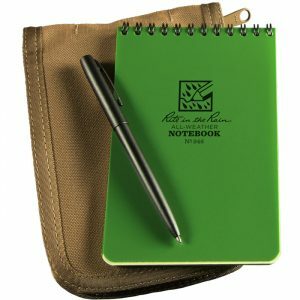 Their mission is to provide innovative products for professionals and enthusiasts who brave the outdoors. 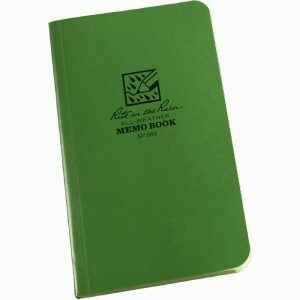 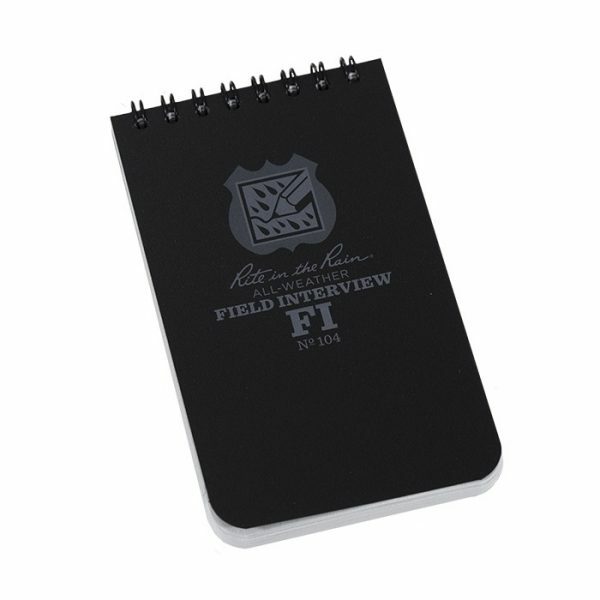 The 3 in X 5 in Field Interview Notebook is our most popular public safety notebook. 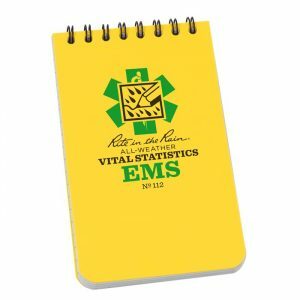 Ensure that your patient's vital stat data is protected with this top spiral Vital Stats Notebook. 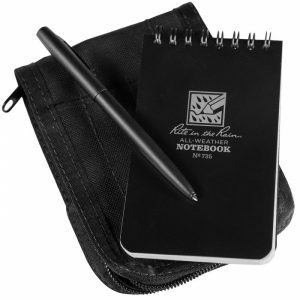 Standard duty gear for all. 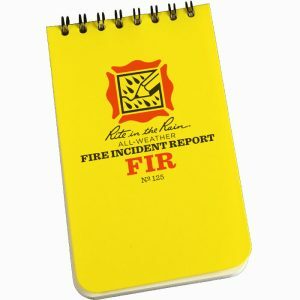 This 3 in x 5 in notebook is perfect for collecting on-site fire scene data. 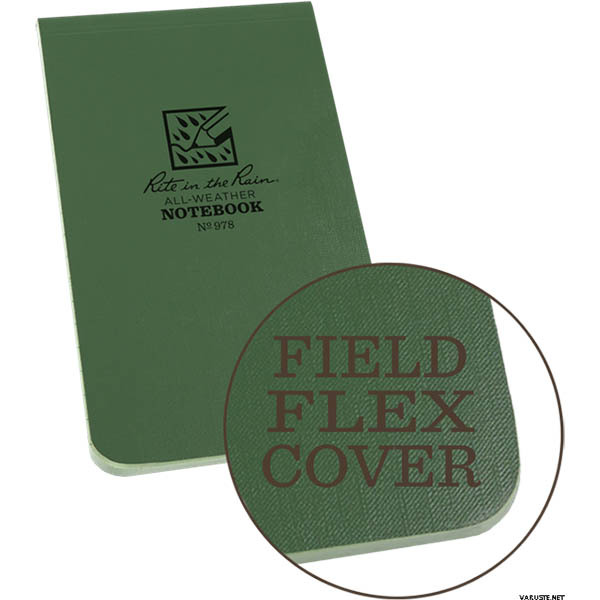 The 3 in x 5 in notebooks are the truly go-anywhere, anytime, in any weather notebooks. 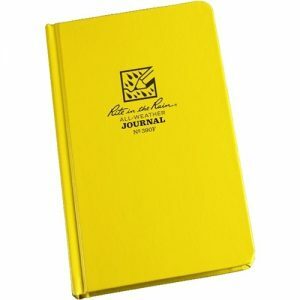 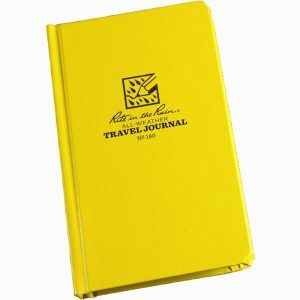 Travel Journal for all latitudes and longitudes...indoors or outdoors. 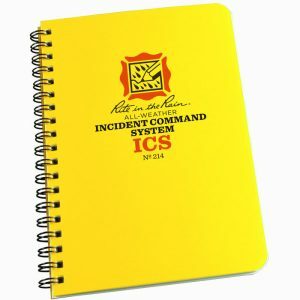 The last thing you need on the scene of an emergency is an ICS form that won't hold up to the weather. 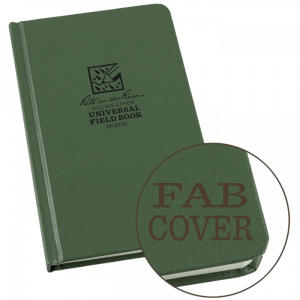 This book comes with 4 5/8 in x 7 in size pages and a Polydura cover and wire-o binding. 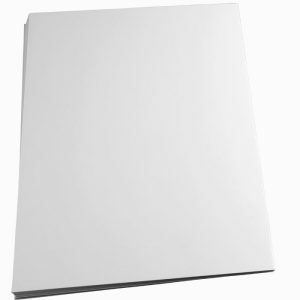 64 pages (32 sheets). 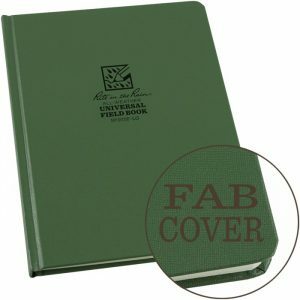 All Weather Journal for all latitudes and longitudes...indoors or outdoors 4 3/4" in x 7 1/2” in, 80 sheets. 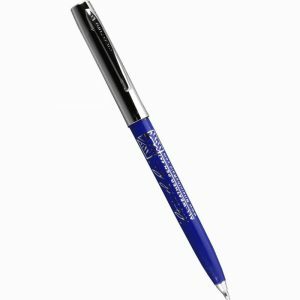 While a pencil works great on our All-Weather products, sometimes you just need a pen. 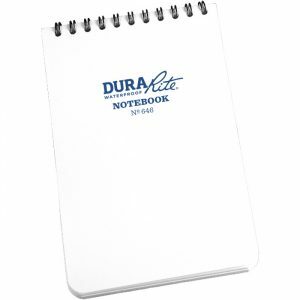 DuraCopy is a synthetic, heat resistant paper created for use in extreme conditions. 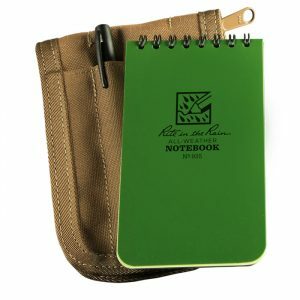 It is actually waterproof and can even be used underwater. 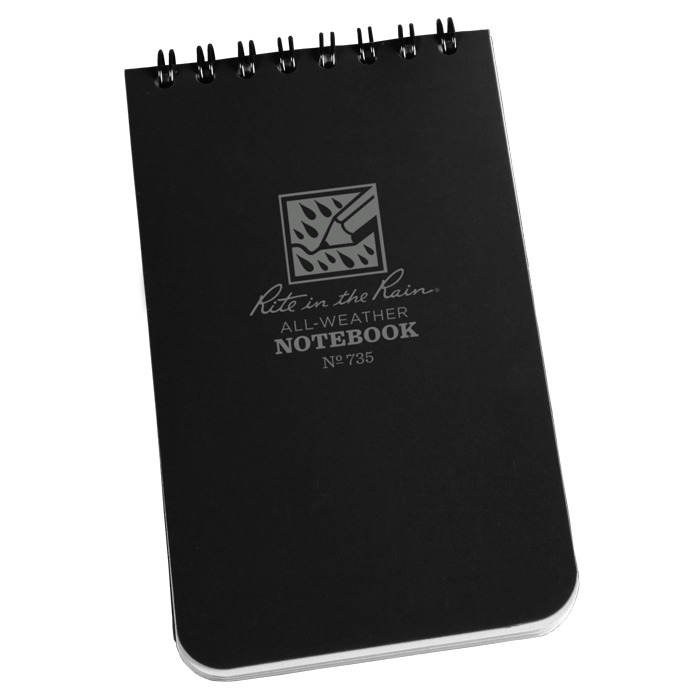 Part of the New Midnight Collection, this 3" x 5" top spiral notebook is discretely sophisticated with its black Polydura Cover and subdued light gray tinted paper. 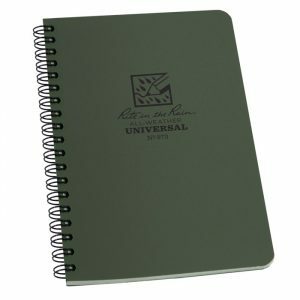 Part of the New Midnight Collection, this 4" x 6" top spiral notebook is discretely sophisticated with its black Polydura Cover and subdued light gray tinted paper. 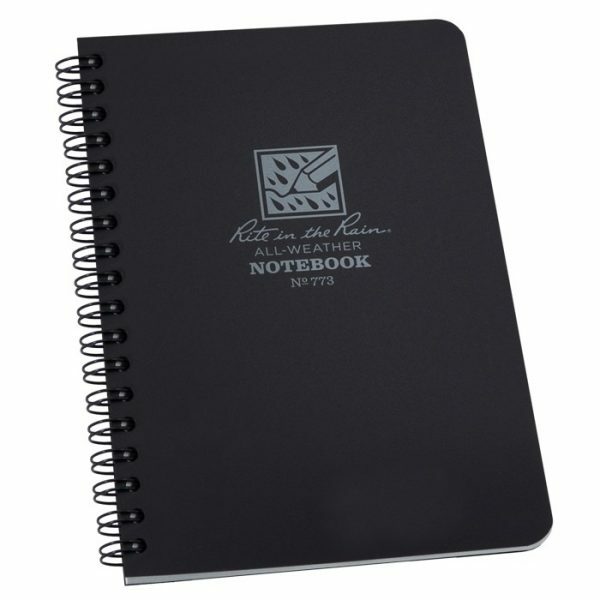 Part of the New Midnight Collection, this 4 5/8" x 7" side spiral notebook is discretely sophisticated with its black Polydura Cover and subdued light gray tinted paper. 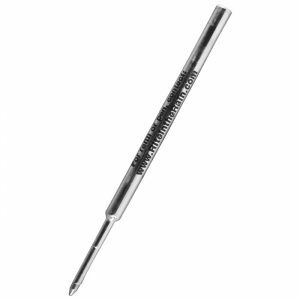 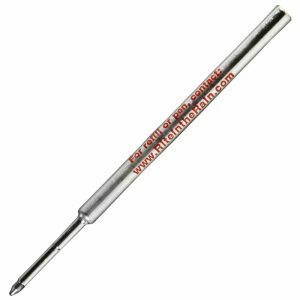 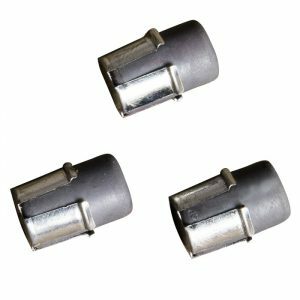 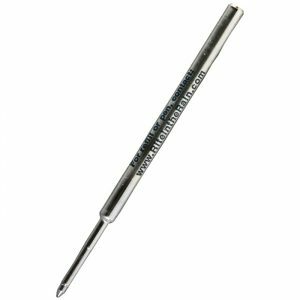 This All-Weather .375 MAG BULLET pen writes on wet paper and upside down, the pressurized ink cartridge performs in temperatures from -30F to 250F. 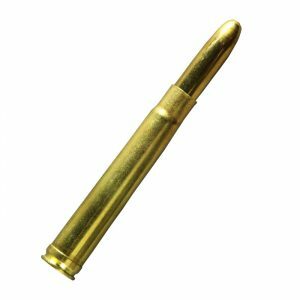 Brass metal barrel is constructed from a real 4" long .375 MAG bullet casing! 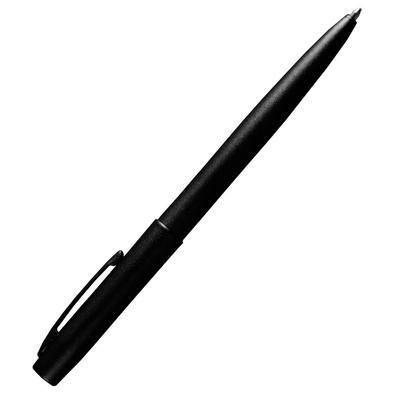 Black Ink. 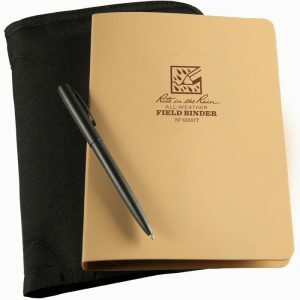 The Tactical Field Binder is made of tough Polydura and rust resistant metals. 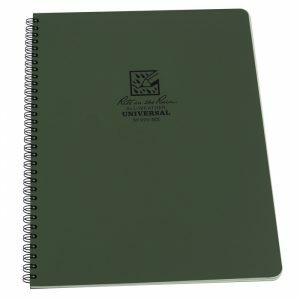 The global standard for tactical colored notebooks. 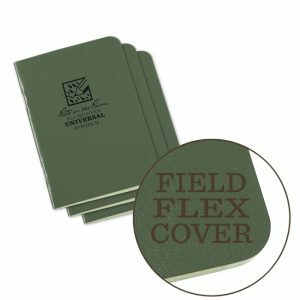 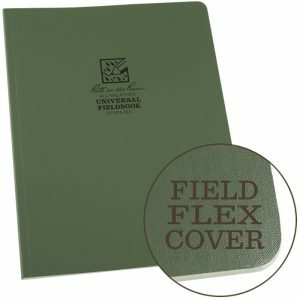 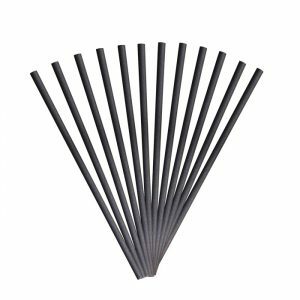 Field-Flex is our most flexible cover material. 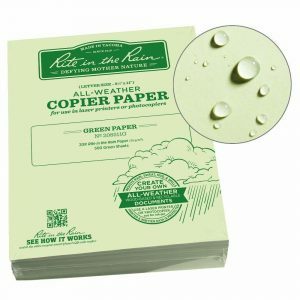 The paper-based stock is tough enough to withstand the harshest and wettest conditions yet can be torn like heavy paper. 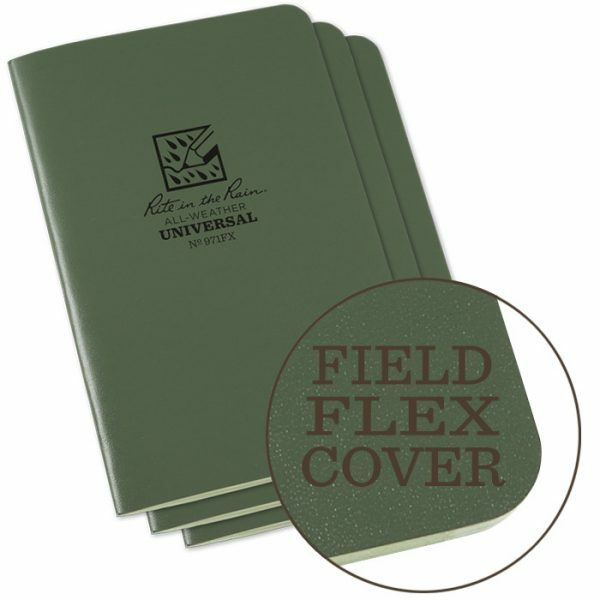 The Rite in the Rain Tactical Memo Books are bound with a Field-Flex cover. 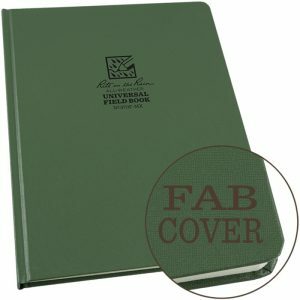 Fabrikoid Case-Bound Books, the Tough Guys on the Block. 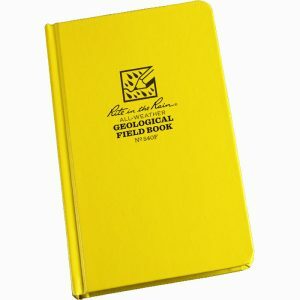 Comfortably large, this impressive book’s construction won’t let you down. 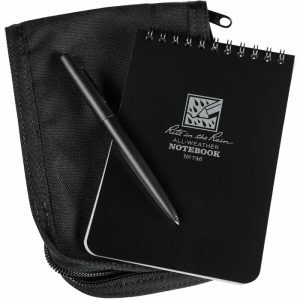 The Maxi Case-Bound Book gives you enough room for your thoughts and your pencil to roam free. 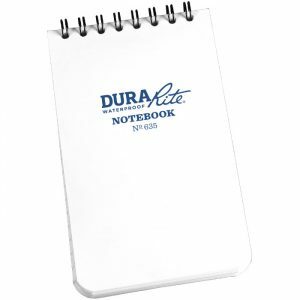 These notebooks are made with a Polydura cover and side spiral, wire-o binding. 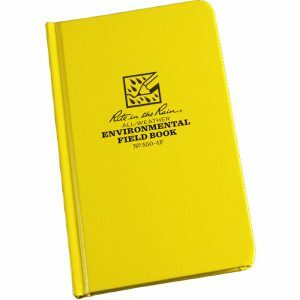 Use as the ultimate lab book or as an over-sized companion for diagrams and sketches. 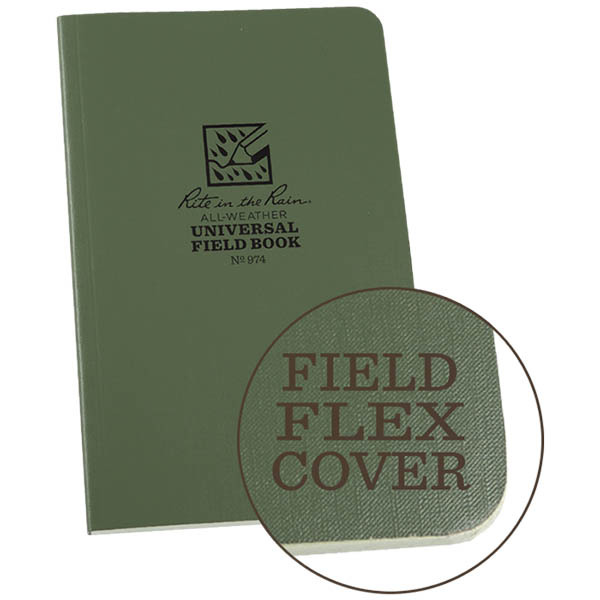 Field-Flex is Rite in the Rain's most flexible cover material. 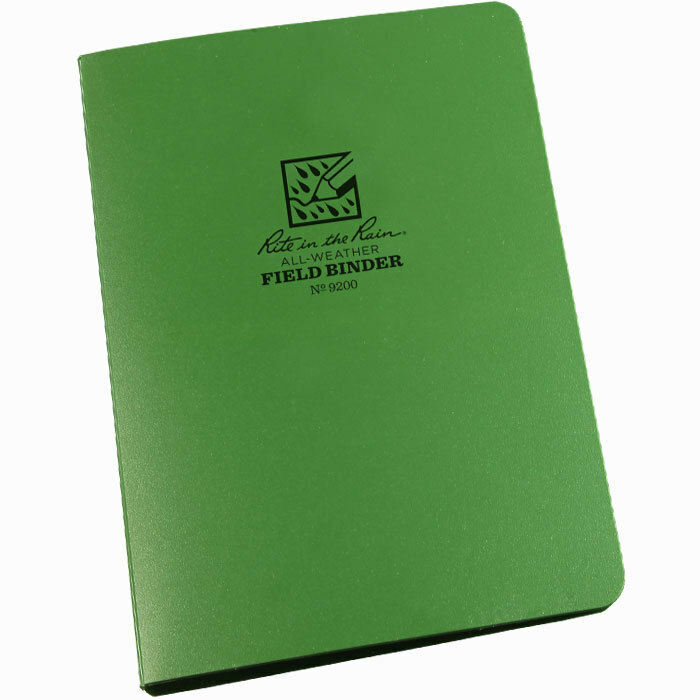 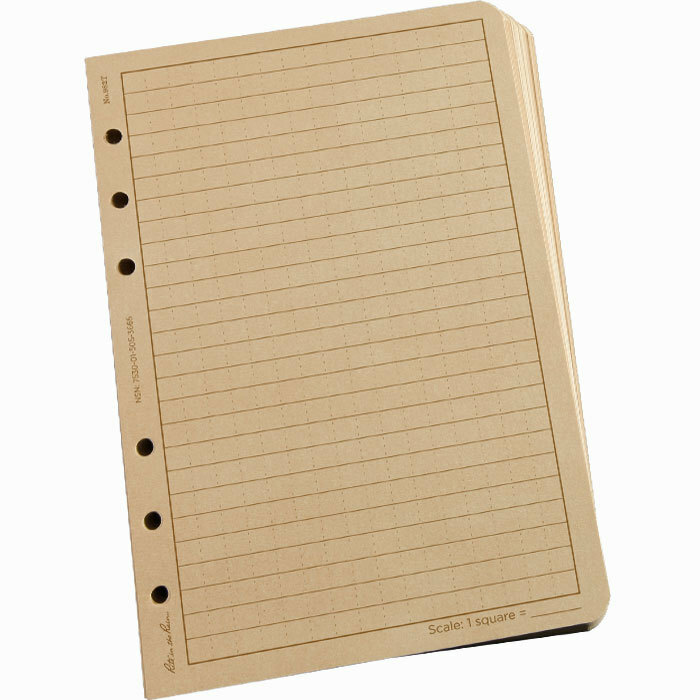 The Tactical Loose Leaf sheets have a round 6-hole punch to fit the Rite in the Rain Field Ring Binders. 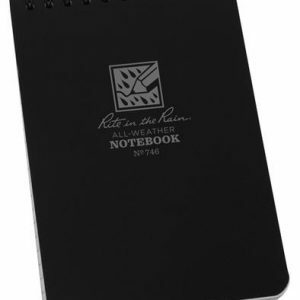 Our notebooks can hold up to writing in the rain, but your handwriting might suffer under rough conditions. 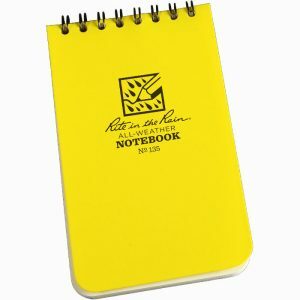 If you find yourself burning through erasers trying to clean up the notes you took on that whitewater rafting trip, stock up on these handy eraser refills. 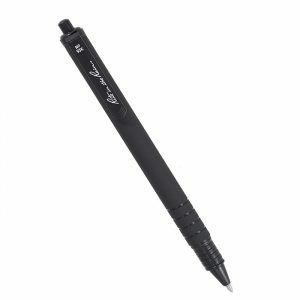 3 Erasers per refill pack.